PS: There will be no news update tomorrow as I have the day off, taking a much deserved “me day”, but I’ll be back with the news on Thursday. On May 4, the Hallmark Channel film Mr. Hockey: The Gordie Howe Story will debut at 9 PM. 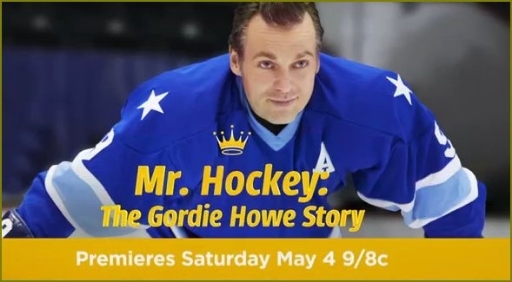 Based on the true story of legendary hockey player Gordie Howe, to be played by Michael Shanks (Stargate: SG-1), who, at age 45, returned to the ice after his retirement for the opportunity to play professional hockey and win a championship with his sons. His wife Colleen will be played by Kathleen Robertson (Beverly Hills 90210 and Boss). Here is a trailer for Mr. Hockey: The Gordie Howe Story. It was a big night of programming for the major networks last night with a few season finales rolling out and new episodes of the rest of Monday night’s dramas. 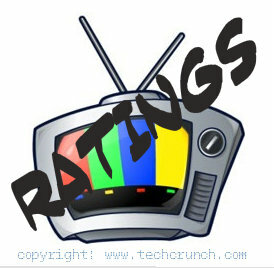 It was a full night of programming on the major networks last night with all of the Sunday dramas back on the air. On April 29, Bones and The Following will air their season finales on FOX at 8 and 9 PM. The final episodes of the comedy The Big C: Hereafter will air in four one-hour installments starting on April 29 on Showtime at 10 PM. That same night, Warehouse 13 will be back with more new episodes of its current season on Syfy at 10 PM. On May 1, the season finale of The Americans will air on FX at 10 PM. Merlin will be back with its final five episodes starting on May 3 on Syfy at 10 PM. On May 4, the Hallmark Channel film Mr. Hockey: The Gordie Howe Story will debut at 9 PM. The film is based on the true story of legendary hockey player Gordie Howe, to be played by Michael Shanks (Stargate: SG-1), who, at age 45, returned to the ice after his retirement for the opportunity to play professional hockey and win a championship with his sons. The season finale of The Mentalist will air on CBS at 10 PM on May 5. Also that night, Red Widow will air its season finale on ABC at 10 PM.